“Next Steps to Adulthood: Planning for Transition” includes a free webinar series and in-person workshop. 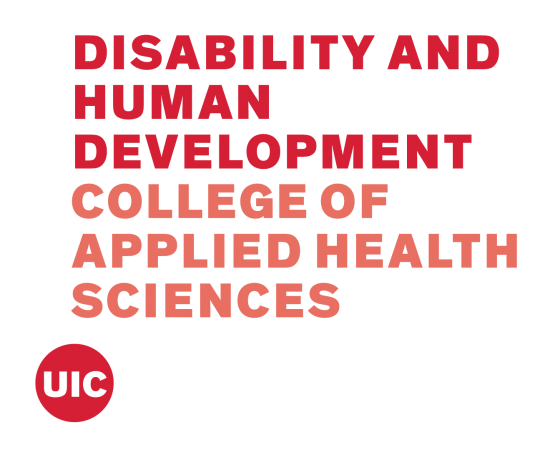 The University of Illinois at Chicago Institute on Disability and Human Development (IDHD) Developmental Disability Family Clinics present “Next Steps to Adulthood: Planning for Transition,” a free webinar series and workshop. Families and professionals may register for all or select individual webinars to attend. Date: Wednesday, Oct. 4, 10 to 11 a.m.
Dr. Acharya will review the most recent data about healthcare transition for adolescents and young adults with intellectual or developmental disabilities, describe standard of care for health care transition and highlight strategies to support the transition to adult-centered health care. Date: Wednesday, Oct. 18, 10 to 11 a.m. In this presentation, Dr. Burke will outline the components of transition planning for your child with autism. Specifically, she will discuss transition assessments and goals, student involvement and transition outcomes including post-secondary training and education, independent living and employment. Date: Wednesday, Nov. 1, 10 to 11 a.m. This presentation will give an overview of current policy affecting transition-aged youth with disabilities in the workforce. It will also discuss trends in the field, as well as strategies and best practices in disability employment services and supports. Finally, it will provide resources for those wishing to learn more. Date: Thursday, Nov. 9, 10 to 11 a.m. This presentation will discuss the community service system for adults with intellectual/developmental disabilities in Illinois, including eligibility requirements, funding options, service models and strategies to promote maximum effectiveness and satisfaction with services. Kathy brings over 30 years of experience in Illinois and an extensive background in helping families understand and navigate the adult I/DD community system. Date: Friday, Dec. 8, 10 a.m. to 1 p.m. This in-person interactive workshop combines insights from all three webinars to discuss how transition planning impacts daily life, healthcare and employment opportunities. This is your opportunity to learn from three experts on transition best practices. Bring your questions! Questions? Contact Susan Kahan at skahan@uic.edu or (312) 413-2652. Continuing education credits are available with a $10 fee for professionals in the following disciplines: Advanced Practice Nurses, Registered Nurses, LPNs, Clinical Psychologists, Illinois Teachers Professional Development, LCSW, LSW, LPC, and LCPC, Licensed Dietitian Nutritionists (RD), Nursing Home Administrators, Occupational Therapists, Physical Therapists, Qualified Intellectual Disabilities Professionals and Speech Language Pathologists.